← 14 Websites That Will Help You Find Your New Favorite Book! Amp Up Your Author Platform with LinkedIn! I don’t know about you, but LinkedIn was sort of a mystery to me. I knew about it and thought it was more for corporate america, professionals who work in offices and such. I completely ignored it because I thought it wouldn’t help me reach my potential fans. Then I read an article in RWR (Romance Writers Report, a monthly magazine mailed to RWA members) by Maria Conner (Article Titled: Get LinkedIn or Be Left Out) that opened my eyes to the fact that LinkedIn might not help me bring in fans but it will, without a doubt, help me connect with business professionals that are key to getting books published, to marketing them, and to marketing myself. I promise you, that way of thinking will get you no where. If you haven’t published anything yet then show your writing skills and your knowledge and commitment of the writing world by posting blog articles that you write, linking up to groups and organizations in the writing industry, and adding any youtube or podcasts you have created on the subject. LinkedIn is a professional network that is to be taken seriously. Future publishing houses, editors, agents, and book industry professionals will see this as part of your job resume. There are over 300 members worldwide in over 200 countries and can be displayed in 22 different languages. This is THE place to be seen if you are serious about your writing career. LinkedIn isn’t just for job hunters anymore. It’s the perfect place to keep an updated, interactive resume that will be seen by millions of people, literally. Let’s take some time to break down a LinkedIn profile. Name: Use only your Author Name and nothing else on this line. Headline: You have a maximum of 110 characters for this space. You need it to be catchy, to state without a doubt what you are known for and you need to include keywords that pertain to your industry. LinkedIn’s search algorithms looks for keywords within your profile. Therefore, before filling out your profile, take some time to search certain keywords on LinkedIn’s search bar. Click on some of the profiles that appear at the top and pay attention to where and how often they are used. That will give you a guide to follow. Location: Be specific. I know that there are a lot of authors/writers that like to keep their location private to their fans but you have to keep in mind that your LinkedIn profile isn’t for your fans but for future business prospects. Industry: Add an Industry that pertains to your career. You can add one word or combine two to cover more of what you do. Your LinkedIn URL: Located directly underneath your profile photo is your profiles URL. When you first sign up they automatically generate one for you. However, you can go back and edit it to be more personalized. Contact Info: Treat this section like you would on your website. You want whoever you connect with on here to be able to contact you. You could just give your email address but the more detail you give (address, phone, social media contacts) the better chance you have of making a connection. Summary: Make sure you are as detailed as possible. This is the place to “sell yourself” to future business partners. Let them know what you can to do that will benefit them. Don’t forget to include important keywords for your industry and write in complete sentences in 1st person point of view. If you have published works (books, anthologies, short stories, etc…) you can list each one as a job experience and in the job description section you can put a brief summary of the piece of work. Volunteering can also count as work experience. Languages: If you speak more then one language don’t be shy to let everyone know. Your LinkedIn profile is the place to boast about your talents and accomplishments. Skills are key words that describe the many different things you are capable of doing. You can add up to 50 skills but make sure all the skills you add are current and relevant to your industry. Also, place your most important skills at the top of the list. At a loss for what skills to include? Use LinkedIn’s search to find peer profiles and get inspiration from what they included. Endorsements are your 1st connection contacts that have agreed with you and stated that they believe you have this skill. An average LinkedIn user has at least 5 endorsements. If you want to stand out from the crowd aim for a higher number. Education: Be detailed and specific. List all education you have received. If you do not have any formal education after high school try listing whatever courses you have taken and completed. This includes, any and all writing courses. Additional Info: This is where you will list your interests, personal details and advice for how you want to be contacted. Interests is a place where you can list any and all interests and hobbies you have. Just keep in mind that this is a professional profile. Think about adding only the interests and hobbies that pertain to your industry and that you wouldn’t be embarrassed about. Personal Details is where you add your birth date and marital status. Again, it is up to you on how much you want to include but from all the advice I’ve heard and read about, you should try to be as specific and detailed as possible on all aspects of your LinkedIn profile. Contacting is where you state, specifically, how you wish to be contacted and with what. Projects: This is a place where you can highlight projects that you have worked on pertaining to your industry/career. For instance, If you’ve created any youtube videos demonstrating how to perform a task, or podcasts where you talked about how to be a writer, etc… you can add it here, along with a link to it, and you can even include team members that helped you with it (it can be other linkedin members or not). Connections: When you first sign up, LinkedIn will pull all the contacts from the email you used and ask if you want to link up with them. Only link up with people who pertain to your industry and/or will help further your career. Do not add your whole email contact list just for the sake of acquiring a lot of contacts. When you do a search of people you want to connect with check their profiles out to find things you might have in common. That way when you send a contact invitation to them you can make it personal. A personalized contact invite has a better chance of being accepted. If you feel odd contacting complete strangers, check out your connections to see if they have contacts you would like. If they do, ask them if they would personally recommend you to them. Groups: LinkedIn members can join up to 50 groups and 20 subgroups. However, you are better off joining a few groups at a time. Be selective about the groups you join. Make sure they are relevant to you, have a high membership count and active dialogue. Don’t forget to be active within these groups. Don’t sit on the sidelines. Recommendations: Recommendations are the heart of your profile. Without them you might as well be dead. These are personal recommendations from your contacts stating you are who you say you are. Depending on what the person writes it can be brief, stating that they have worked with you and they recommend you or they can be detailed and state how they worked with you and how you performed. The best way to receive recommendations is to give them. Find the people on your connections list that you have worked with whether it was online or in person and write them a recommendation. They will be notified as soon as you do and will usually respond back by writing one for you. If you haven’t received any recommendations but have given a few yourself ask them nicely if they could write a quick recommendation for you. Don’t be shy when it comes to your career! In the “Professional Gallery” section of your LinkedIn profile you are able to share links and upload files such as videos (book trailers), Your Amazon Author Page, Cover Art of your books, and reviews & excerpts. Post updates regularly to keep your profile active. Updates should be professional and share news pertaining to your career. The best time for posts on LinkedIn is 7am-9am and 5pm-6pm. The worse posting time is 10pm-6am. Try to stick to a 700 character limit on each post. To make your profile more substantial add items like projects, test scores, courses, certifications, and volunteer work. Make sure you are alerted through email whenever someone wants to connect with you or has written a recommendation or endorsement. Don’t forget to link your blog posts to your LinkedIn profile. Stop by and Check out my profile on LinkedIn https://www.linkedin.com/in/darlagdenton . Add me as a contact. This entry was posted in Marketing and tagged Author Platform, Darla G. Denton, Linkedin, Linkedin profile for writers, Linkedin profiles for authors, Social media. Bookmark the permalink. 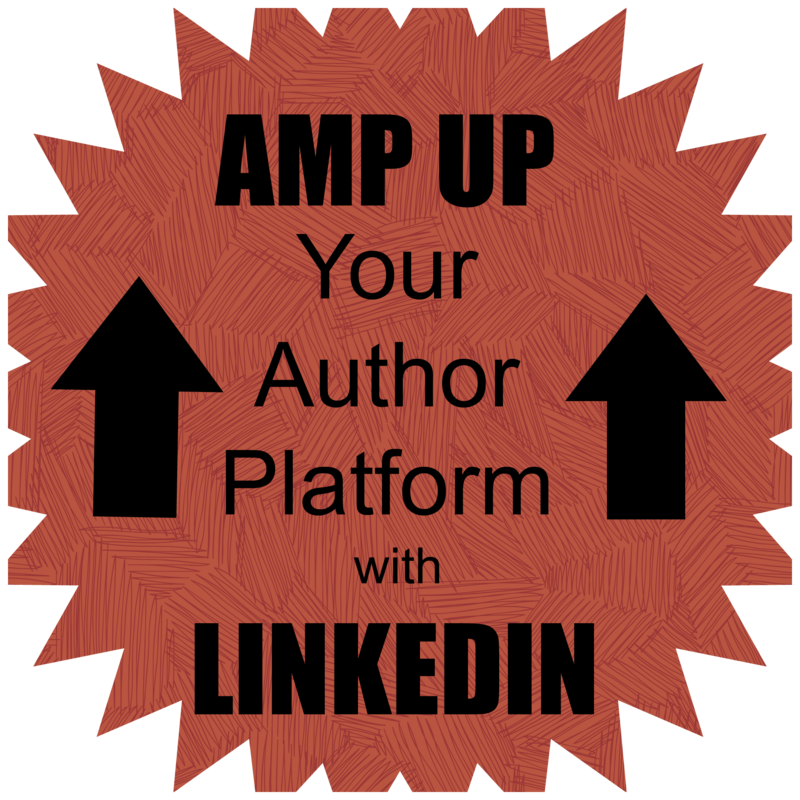 2 Responses to Amp Up Your Author Platform with LinkedIn! I set up mine a while back, but I’m not active on it. I’ll hunt you down and add you when I log back in to it.